This image shows the area around the Aral Sea in September 2004. Overlaid is the coastline as it was in the late 1960s, taken from a digital map. 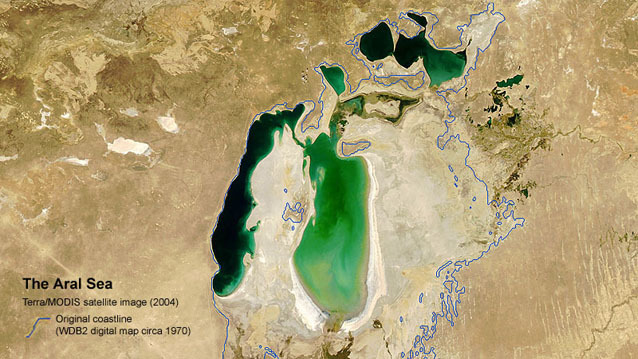 The Aral Sea has been shrinking since its tributary rivers were diverted to irrigate cotton and other crops in the mid 1960s.